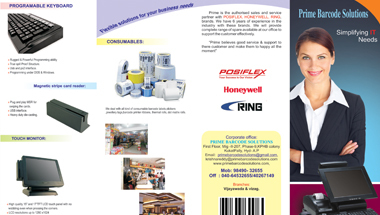 POSIFLEX XT-4015 TOUCH POS BILLING SYSTEM. 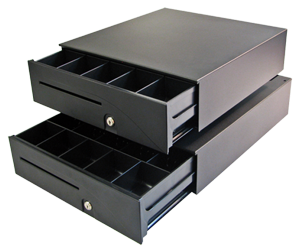 The CR-4000 is a modern Posiflex cash drawer. It is wider, deeper and longer than the CR-3100. The CR-4000 comes with 5 coins and 5 bill fixed compartments. There is a coin roll storage compartment behind the bill compartments. The CR-4000 has a "Screw less" tamper resistant design and a special feature cushions drawer slams and protects the system. The chassis and drawer have durable metal construction with high reliability and durability (MTBF over 1 million open/close). Advanced design to extend the MTBF to 1,000,000 times. Precision mechanism to assure wobble-free drawer movements. Only bill compartment adjustable on CR-4000 Series for Euro market. Check slot for non-cash or large-bill transaction. Three level lock for maximum cash security. Open-drawer indicator output (except CR-4X03/4). Intelligent interface models provide transaction security. 256 codes defined by control board switch (CR-4X02/3). 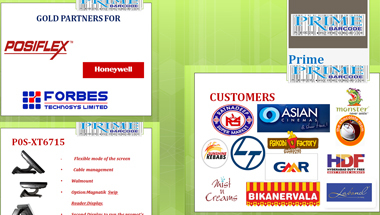 Interface support include: printer driven, dedicated or non-dedicated serial, parallel, USB. Multiple Input/ Output expansion connectors on intelligent interface models for cascade application. Smart interface models can transform to each other through switch and cable changes only. CR-4100 Series: Bill compartments are fixed. Bill weight is made of heavy metal material.